Quality Amish-built sturdy sets designed to last a lifetime. When you shop for a swingset, you want to know that you're buying the best set for your money. 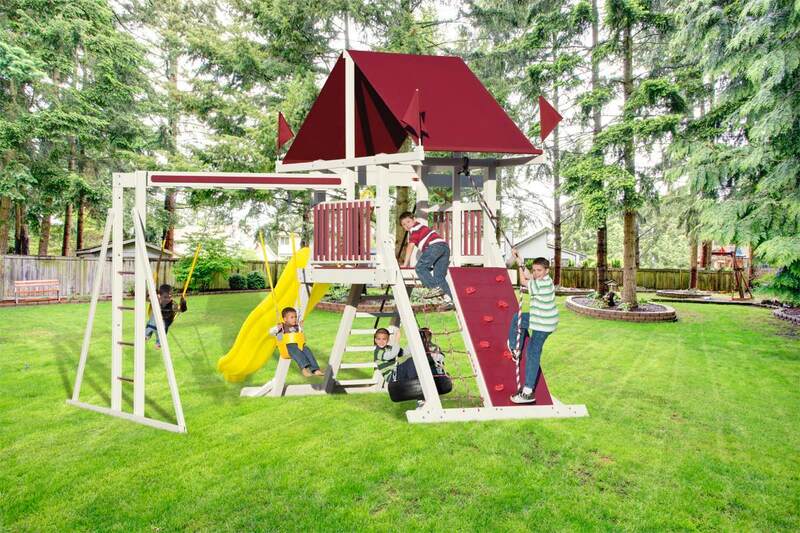 Our playsets are meticulously crafted by Amish builders for an impeccable fit and finish. We have sets to fit all budgets and an industry-leading warranty to backup our stellar safety record. Select from one of our lines below to get started. 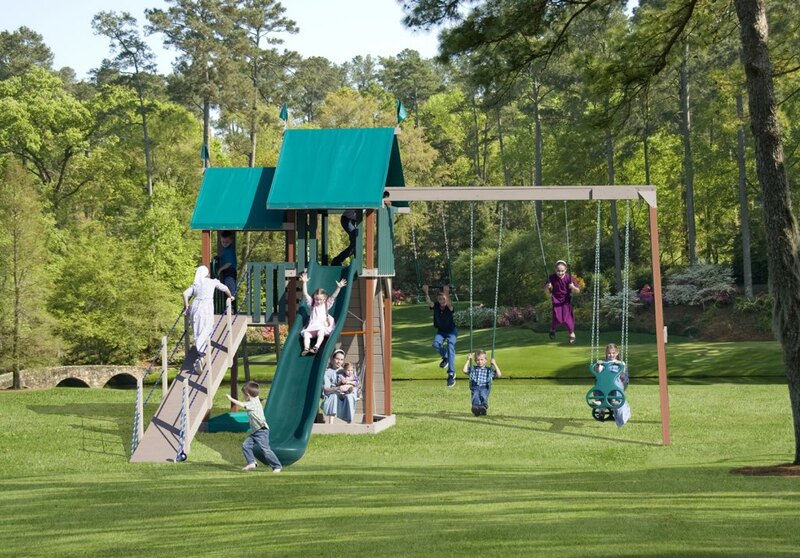 Our popular Wooden line is the classic swing set. Built with the finest treated yellow-pine wood, a domestic renewable resouce. All the Tower Series Sets are now coated with a tough innovative exterior "deck & dock" coating from Sherwin Williams, which retains protection and color for years. For those who want to maximize their budget and get more swing set for the dollar, look no further than our Wooden series of playsets. Poly swing sets are a step up from Wooden sets. They feature a special hybrid design, using Polymer-coated wooden lumber. With no exposed wood, say goodbye to maintenance like painting and staining, splinters, and carpenter bees. These sets are a great value when calculated over the cost of a child's lifetime. With a 20 year structural warranty and designed by the same craftsman at PlayMor as our Wooden sets, these Poly Play Sets make a great addition to any backyard.. The Vinyl series of swingsets is for those looking for a premium, maintenance-free swingset that will look new for years. 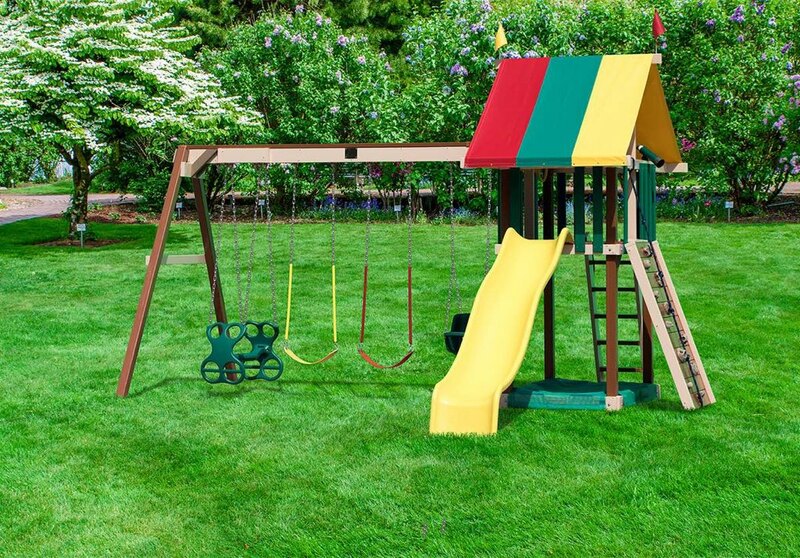 If you want your playset to be free of splinters and stand up to the weather, our vinyl swing sets are the way to go. Vinyl sets age better than any other playsets out there. The treated lumber is encased in tough vinyl sleeves for superior strength and longevity. Backed by a 20 year warranty, you can rest easy knowing your investment will be safe for years to come.